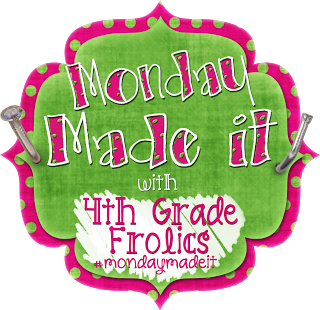 I missed last week due to lack of creativity, but I am linking up once again to Fourth Grade Frolics' Monday Made It...on a Tuesday. Oops, I totally forgot to publish my post yesterday, even though I actually wrote it on Sunday! I'm sure you've seen these all over Pinterest. I often want to copy the projects I see but have a hard time finding the same things in Canada that they have in the US, especially at such a great price. Well, low and behold, I found this 22 drawer unit from Lowe's for $18.68. I'll probably bring my own desk to school in September and it's one that doesn't have drawers, so this will look great sitting on the counter behind me. In case it's not obvious how I made the labels, I typed onto decorative cardstock, laminated for durability, and hot glued them onto the inside of the drawers. It was a quick and easy project! 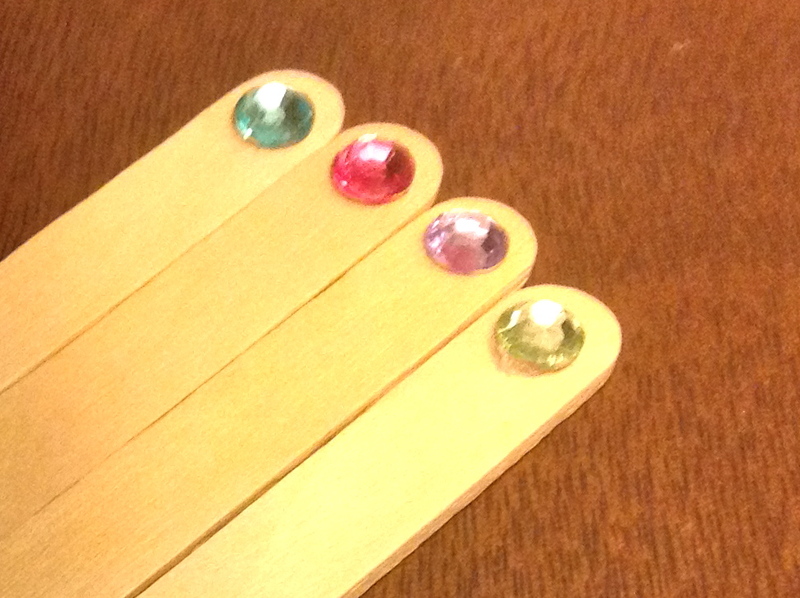 I hot glued jewels onto popsicle sticks. I plan to use these in two different ways. When I need to pick partners, I will pull two sticks. When I need to keep track of who I have called on, I will turn the stick over to the non-jewel side. I used four colours of jewels to represent boys and girls in each of my two classes. I will probably separate the two classes into different containers. I've seen this idea before where the teacher uses all different colours of jewels, but I know my kids will memorize which colour is theirs and sometimes I will want the choices to remain anonymous until I share them with the class. Have a great week and don't forget to link up by clicking on the image below! And no Lowe's in Winnipeg. *cries* Rona is my next stop, I think.